Published February 6, 2015 at 3264 × 1836 in Photos. Frosting cupcakes at the 2014 Halloween party. 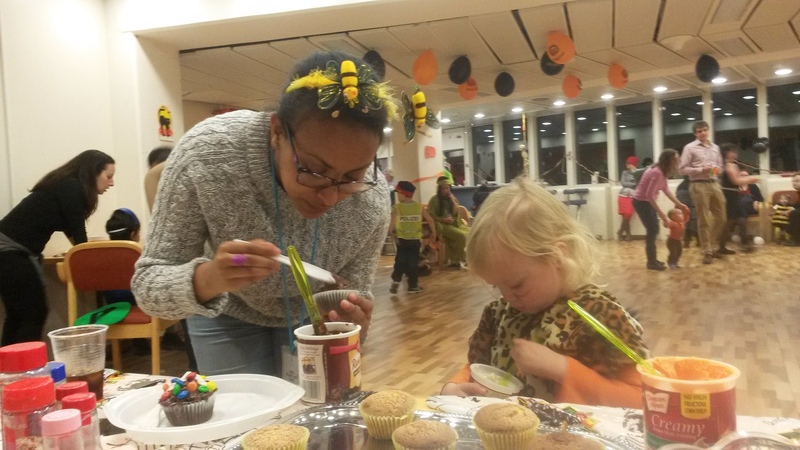 Two bees frosting cupcakes at the 2014 Halloween party.